Business hours: 11.00am to 10.00pm, daily. THE charm of Japan will soon preside over Bar.B.Q. Plaza with the introduction of the Sakura Matsuri (cherry blossom festival) set menu from mid July onwards. The restaurant allows diners to enjoy both the sizzling experiences of BBQ and steamboat with its unique grill pan, said to be of the Japanese and Mongolian origins. The chain outlet from Thailand has been bringing the goodness of various barbecue styles under one roof, offering a variety of set menus including the family, supreme and economy sets to meet different budgets. Apart from that, its homemade brown sauce spiced up with chopped chilli, garlic and lime juice drives customers back for more. In addition to its regular menu, a special barbecue offering will become highlight of the year. As last year?s special Thai delight moves backstage, the Japanese flavours take over. Outlet managers John Chang and Jefrey Mok, who have Japanese culinary experience are the men behind the special menu, with options of beef, pork, chicken and seafood. ?The meat is marinated with Teriyaki sauce that appeals to many diners across the age range because of its sweet and savoury flavour,? said Chang. 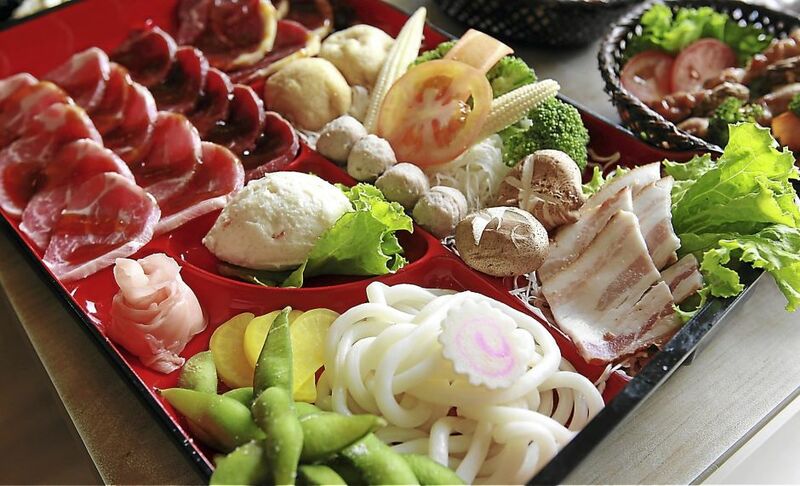 He added that the restaurant uses high-grade Pearl Pork so that customers can have peace of mind. Miso soup is served for steamboat instead of the regular chicken stock. It is accompanied by Shimeji mushrooms, seaweed and spring onion for an enhanced flavour. Tempura is a must-have in the usual Japanese fare. The seafood, mushrooms and vegetables are fried to the perfect golden crunchiness. The normal tempura sauce with grated radish, however, is replaced with wasabi mayonnaise sauce for an extra kick. Yakitori (barbecued chicken) will certainly add to the fun of the gathering over a sizzling grill while Sweet Corn with Bacon is a refreshing appetiser that brings in the summer cheer. Tori Katsu (crispy fried chicken chop), Age Onigiri (crispy fried rice ball) and Shisamo Karaage (Deep Fried Fish) are other a la carte delights to complete the experience of the Land of the Rising Sun. Fans of Bar.B.Q. Plaza should block their diary on July 9 and 10 as privileged card holders will enjoy 50% off on all normal-price items in conjunction with the restaurant?s anniversary celebration. To apply as a lifetime member for free, visit the restaurant four times and above in a month with a minimum spending of RM50 each time. There are 12 Bar.B.Q. Plaza outlets throughout Malaysia.